Il cottage a Summerlee grida beach chic ... ma, a un prezzo che puoi permetterti. Perfetto per una coppia o per una piccola festa, il Cottage offre sistemazioni recentemente rinnovate, accesso alla spiaggia privata e attività in spiaggia, come nuoto, kayak o lounging - tutti a poche centinaia di metri dal Chesapeake. Godetevi il caffè sul vostro terrazzo privato circondato da piante autoctone, poi vagando verso la spiaggia. Kayak la baia o le molte insenature appartate piene di fauna selvatica e di solitudine. Oppure, andare in bicicletta fino a Pt. Lookout Park, a pochi chilometri di distanza. A soli 2 ore da Washington o da Baltimora, fai il rifugio della tua casa a casa tua - più e più volte. Se questa casetta non è disponibile per le date desiderate, mandate un'e-mail e chiedete informazioni sulle nostre altre opzioni nelle vicinanze di Chesapeake Bay che sono adatte a piccole feste. informazioni riguardanti i massaggi forniti nella lettera di benvenuto; pesce fresco e ostriche possono essere acquistati presso il vicino negozio di pesce Kellams. The house was beautiful and had everything we needed. So close to the beach and some great parks. Would love to go back again! Clean and convenient- will be back! We enjoyed the kitchen and close proximity to beach. It was perfect for our stay and close to St. Mary’s. This was our third stay at the Summerlee Cottage, all three times in winter. It's so peaceful at this time of year. There's a wonderful fireplace to help keep things warm (kinda necessary in the below 20 degree weather!). The cottage is perfectly comfortable for two. The kitchen has most everything you'll need. 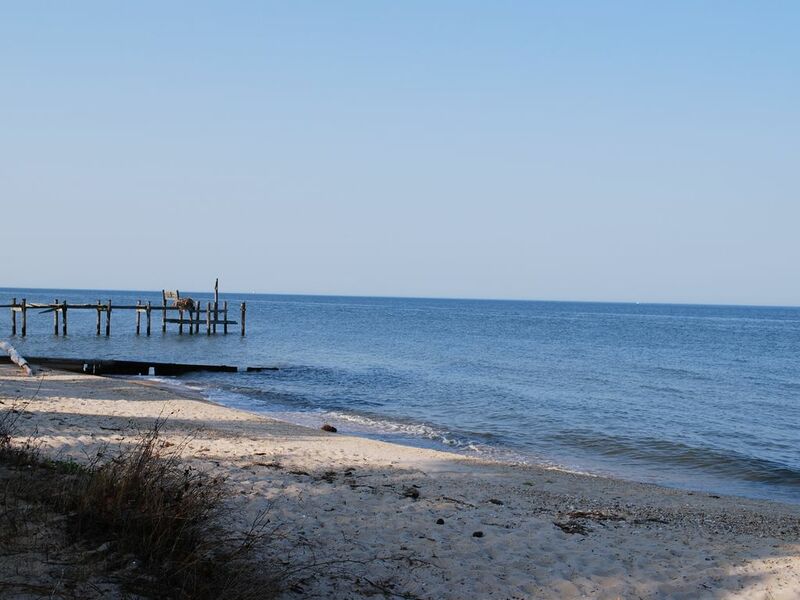 The cottage's location is great if you want to enjoy Point Lookout State Park and the beach access you get with the cottage. We're so grateful that dogs are welcome. Basil has enjoyed his stay with us, here, every time! Incredibly designed home with a private beach. Long walks combing the beach for seaglass and kayaks into the bay. A wonderfully relaxing weekend. Thank you so much. This house is perfect for a small group. Like all the other homes it is very charming and has everything you could want in your home. Please call for discounted rates for stays that exceed 7 days.